Leave it to a Canadian to get creative and turn tobogganing into a summer activity. That’s exactly what Chris Bear of Saskatchewan did. 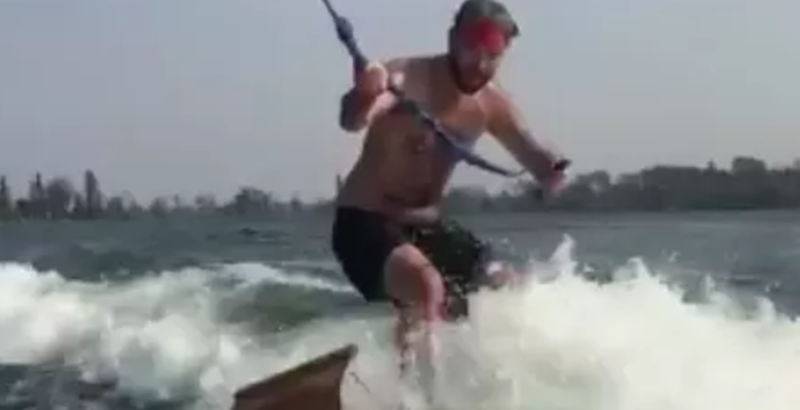 Bear took his toboggan and decided to make it into a wakeboard just for the heck of it. What else are you going to do with a toboggan when there’s no snow? Bear uploaded a video of himself riding his toboggan-turned-wakeboard on August 19 and it already has over 350,000 views.